Attorney General Dana Nessel plans to question former Michigan State University interim President John Engler in its ongoing probe into decades of campus sexual abuse perpetrated by former gymnastics Dr. Larry Nassar. Engler tendered his resignation on Wednesday and the MSU Board of Trustees accepted it immediately at its meeting Thursday morning. Attorney General spokeswoman Kelly Rossman-McKinney told the Advance the timing of the interview request with Engler had nothing to do with the resignation. 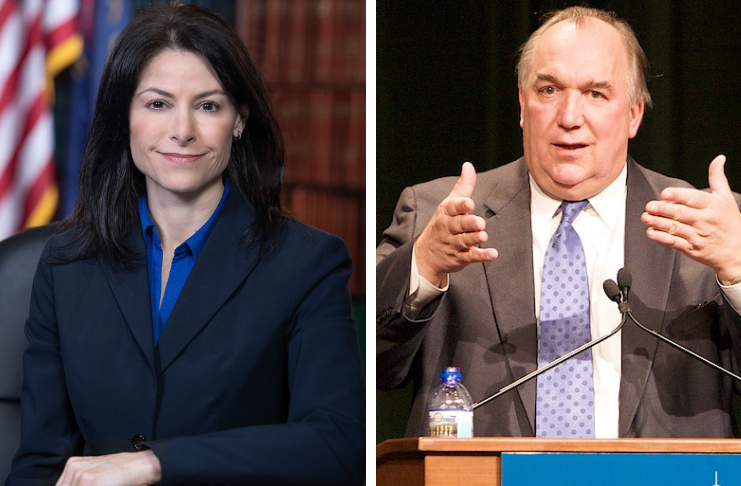 Nessel has directed the team who led the probe under former Attorney General Bill Schuette to question Engler as a “continuation of the work that he started,” Rossman-McKinney said. Bill Forsyth, the previous lead investigator on that team under Schuette, told reporters that MSU stonewalled the probe by withholding important documents from an internal investigation, while instead providing thousands of useless documents. This was detailed in a December report. The former special independent counsel said investigators may never know the full truth of what happened at the Big Ten university because of those decisions. Forsyth’s contract expired at the end of December and Christina Grossi is now the lead assistant attorney general in the investigation working with Chief Investigator David Dwyre. Lawyers in the attorney general’s office previously consulted MSU’s lawyers, Rossman-McKinney said. Now investigators hope Engler will speak directly with them. Engler was a Republican former Michigan governor from 1991 to 2003. Under Engler, lawyers for the university refused to provide the attorney general’s office with documents related to the Nassar investigation. Earlier on Thursday, the MSU board named top MSU administrator Satish Udpa the new acting president of the university while they search for a permanent replacement for former MSU President Lou Anna Simon. Simon resigned over the Nassar scandal and was later arraigned on charges that she lied to investigators about her knowledge of Nassar’s abuse. Nassar is effectively serving life in prison after receiving multiple sentences for sexually assaulting hundreds of young women and girls for decades on MSU’s campus and as a doctor for the USA Olympic gymnastics team. The attorney general investigation led to criminal charges against Simon, MSU women’s gymnastics head coach Kathie Klages and William Strampel, the former dean of the College of Osteopathic Medicine. Strampel was Nassar’s former boss and allegedly also sexually assaulted young women on campus. A preliminary hearing for Simon is scheduled for later in January.